PRINCETON, WV- The Princeton Rays (16-10) dropped the final game of the series 8-5 against the Burlington Royals (16-11) on Thursday at H.P. Hunnicutt Field. The Royals racked up eight runs on nine hits, including a solo home run by right fielder Kort Peterson, to avoid a sweep by the Rays. Princeton's first two runs in the contest came in the fourth inning on a two-run home run by Venezuelan right fielder Eleardo Cabrera, his third of the season. The Rays wouldn't score again until the ninth inning, where they notched three runs in a comeback attempt that eventually fell short. The rally began with a RBI-double by third baseman Juan Rodriguez and a sacrifice fly by second baseman Blake Butera. The final Princeton run scored on a RBI-single by center fielder Oscar Rojas, but the three runs weren't enough to overcome the 8-5 deficit. 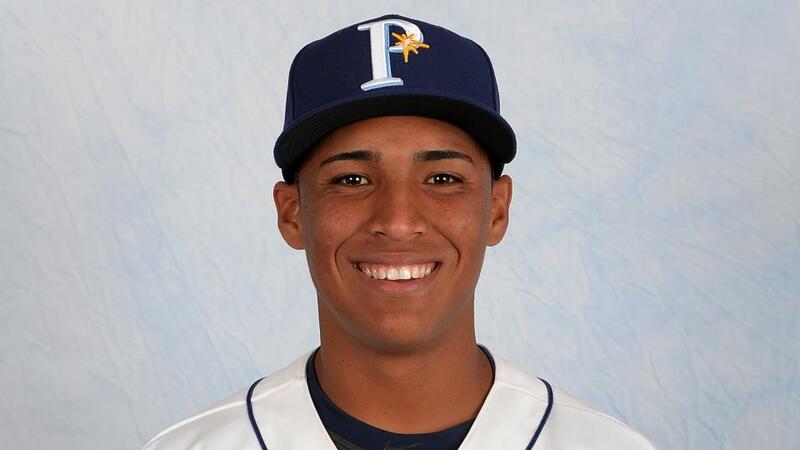 Rays pitcher Orlando Romero, in his first start of the season, pitched one and one-third inning, giving up three runs on one hit and striking out two. Reliever Alex Estrella followed and pitched two innings while Jose Disla later came on to pitch two and two-thirds innings for the Rays. Both Estrella and Disla allowed one run. The final Rays pitchers to see action in the matinee were Sandy Brito and Dalton Moats, who pitched two and one inning, respectively. Brito gave up two runs on two hits and struck out one while Moats allowed one run on three hits and struck out two. Princeton is now set to hit the road with a series against the Danville Braves beginning on Fri., July 22 at 7 p.m. The Princeton Rays have been the proud Appalachian League affiliate of the Tampa Bay Rays since 1997. Any questions may be forwarded to the Rays' front office at 304-487-2000 or princetonrays@frontier.com.